As Garo Yepremian prepared to kick a 42-yard field goal, the Dolphins' owner, Joe Robbie, mused over a 17-0 Super Bowl victory to cap off a 17-0 season. Then the kick was blocked. The Redskins' Mik Bass returned the errant kick 49 yards for a touchdown, and suddenly, the favoured Washington Redskins were back in the game. The Dolphins had taken the early lead at the end of the first quarter. As bright sunshine bathed the green grass of the Los Angeles Memorial Coliseum, Bob Griese picked out wide receiver, Howard Twilley for a 28-yard scoring strike. As the second quarter progressed, the Miami defense continued to smother the Redskins offense. Manny Fernandez quietly had a solid performance in the middle of the line, wrapping up any unfortunate runner who ventured his way. 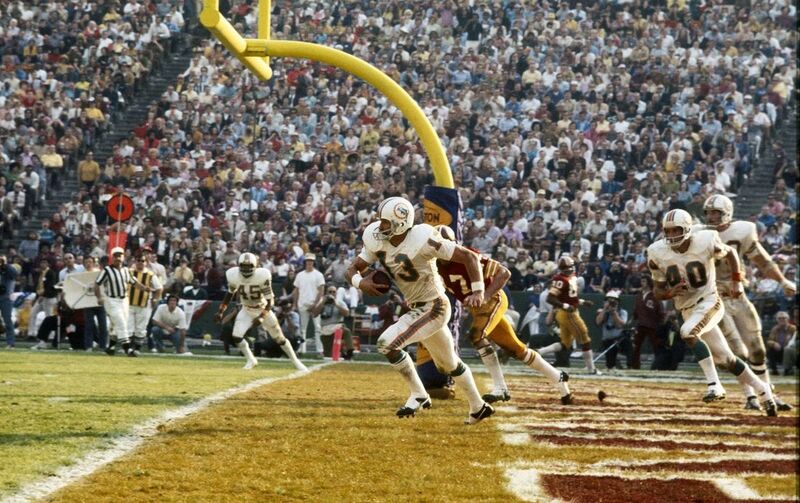 Eventual MVP, safety, Jake Scott who would record two interceptions on the day, including one which he ran 55 yards out of the Dolphins' end zone to kill a Redskins' scoring threat. 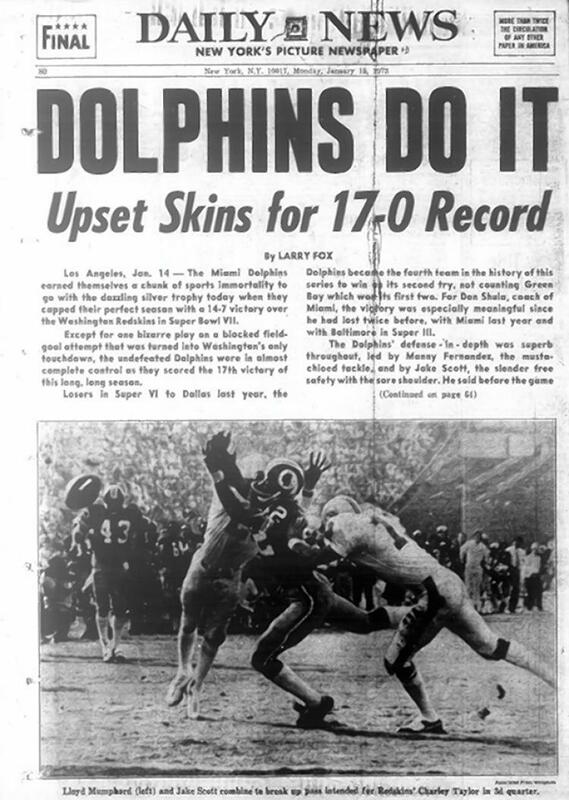 The Dolphins scored again before halftime, this time on the back of a 1-yard plunge by running back, Jim Kiick. The second half remained scoreless as the increasingly frustrated Washington offense continued to make mistakes and have drives bog down. 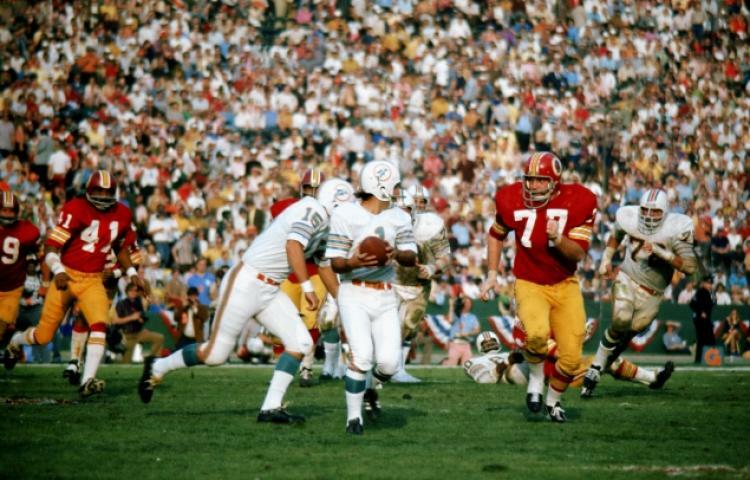 The score was still 14-0 in the Dolphins' favor when Yepremian lined up for his ill-fated field goal. The Redskins would get the ball back, however. 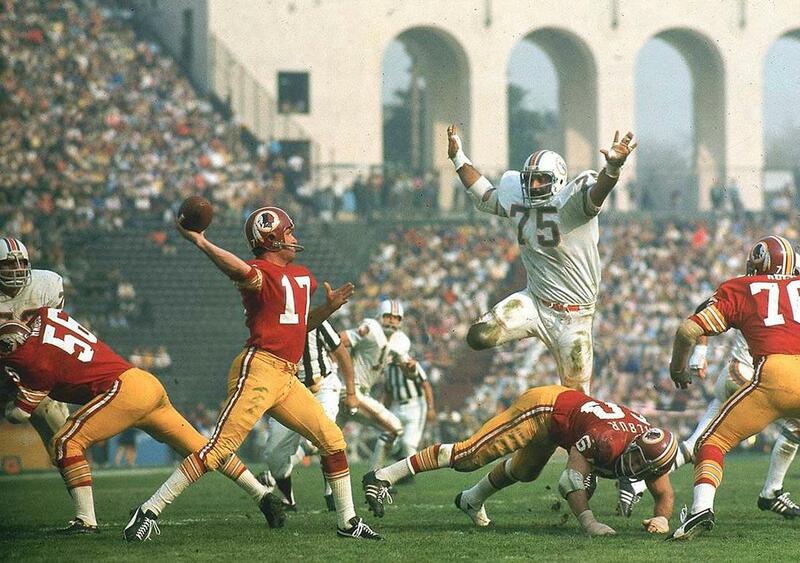 Trailing by a touchdown, 14-7, Billy Kilmer launched one last valiant attempt to pull Washington level. The final play, however, saw the pocket around him collapse, as the "No Named Defense" sealed the victory by sacking the Redskins field general. Dolphins' safety, Jake Scott, snared two interceptions to claim the contest's MVP award. 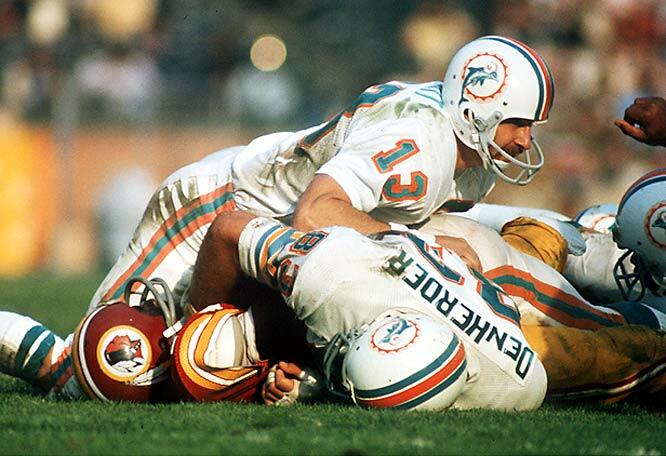 Manny Fernandez had a solid game for the Miami Dolphins - as did the rest of the "No Name Defense!" 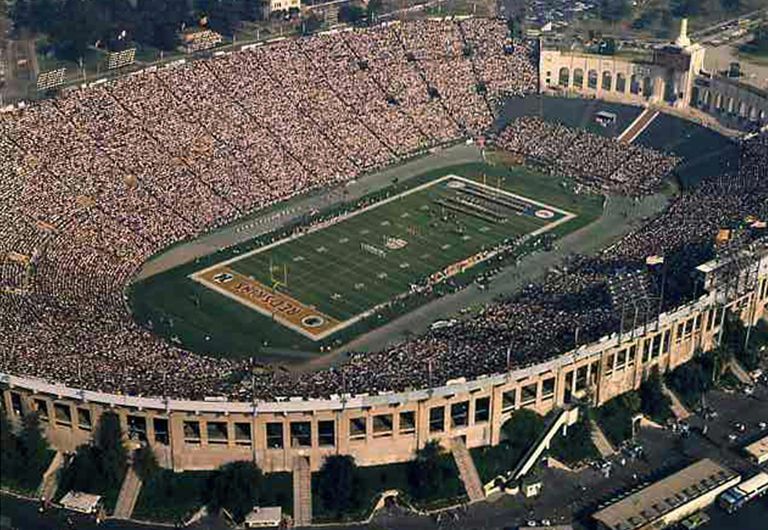 The Los Angeles Memorial Coliseum - over 90,000 people jammed into the stadium for Super Bowl VII - a far cry from the empty seats of the first Super Bowl in the same stadium. Despite the Miami Dolphins perfect regular season record of 14-0, plus two playoff victories, they still entered the contest as underdogs. This was primarily due to Don Shula having lost two previous Super Bowls - Super Bowl III as the head coach of the Baltimore Colts, and Super Bowl VI the previous season as his team went down 24-3 to the Dallas Cowboys. Although Bob Griese played a solid game for the Miami Dolphins under center, it was veteran back-up, Earl Morrall, who had guided the Miami offense for much of the season due to Griese breaking his leg. Incidentally, although he was on the winning side and his statistics were very much the result of a purposeful gameplan, Griese's 8 completions from 11 attempts for 88 yards are the lowest of such numbers for a Super Bowl winning quarterback. 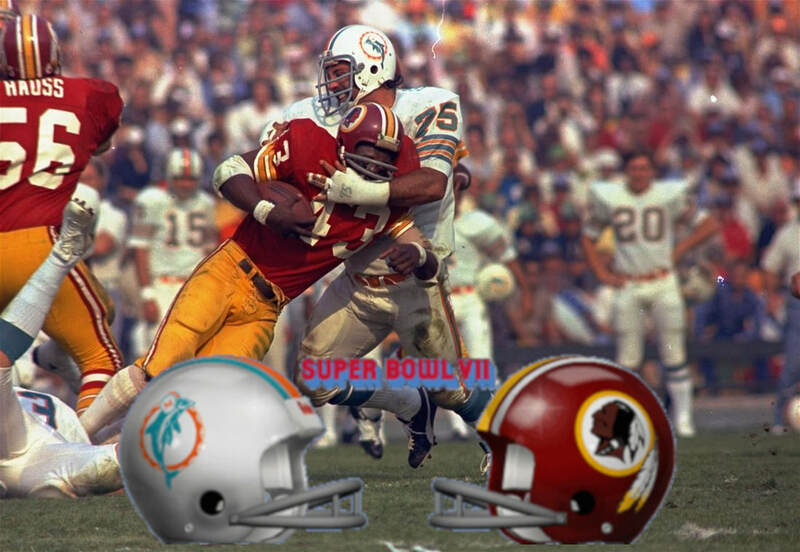 The Dolphins three-pronged running attack of Larry Csonka, Mercury Morris, and Jim Kiick, on the other hand, carried the ball collectively 37 times for just short of 200 yards. 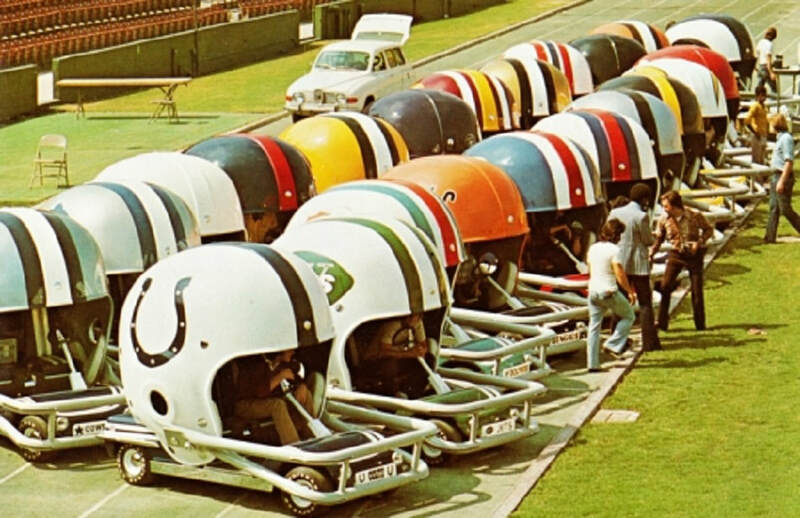 Due to the Watergate Scandal, the Miami Dolphins 1972 team missed out on the opportunity to visit the White House the following summer. In 2013 however, (then) President Obama invited the remaining members of the team to attend the ceremony they should have almost forty years earlier. Garo Yepremian prepares his ill-fated throw following a botched field goal attempt in the fourth quarter. 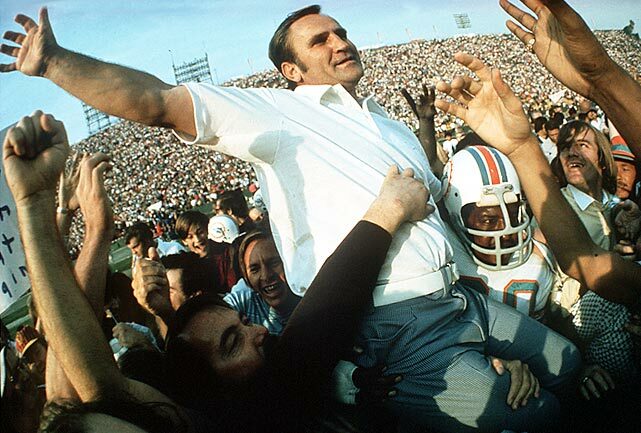 After losing his first two Super Bowl appearances, Miami head coach, Don Shula, was finally victorious in the big game.